Caught on the Kiss Cam: Who Is Amy Schumer’s Valentine? Love is in the air and Amy Schumer has some to spare! The Snatched actress took to Instagram this Valentine’s Day to post a short video of her kissing another man, who wasn’t her boyfriend. Who was this mystery man? Don’t start looking for a new man in Amy Schumer’s pics or freak out just yet because of Amy Schumer’s Valentine’s Day post— she’s not cheating or kissing some random guy—it was her father, Gordon! 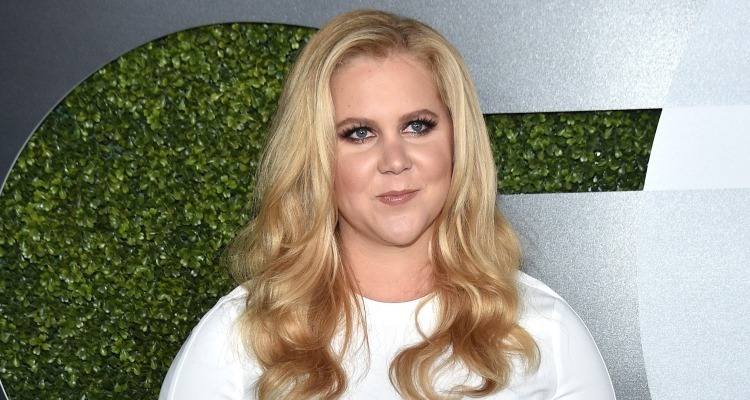 Amy Schumer’s kissing spree took place last year when she attended a Mets game with Jerry Seinfeld and his family, who own a private box at Citi Field. The Trainwreck star was caught on the “Kiss Cam” at the game and decided to give her dad a kiss on the cheek, and then jokingly make out with her boyfriend immediately after. Classic Amy! I love you valentine and you too Ben! Schumer and Hanisch are still going strong and the actress opened up to Marie Claire about her relationship. Despite their occasional goodbyes, Schumer and Hanisch are still going strong and are too busy making everyone jealous with their couple goals!